No matter how safe a driver you are, or how alert and cautious you remain behind the wheel, the possibility always exists that you could be hurt or injured due to another person’s negligence. Knowing how to conduct yourself and the proper steps to take in case you are involved in an auto accident can help you to avoid incurring civil or criminal liability as well as improve your chances of recovering a monetary award for any injury to yourself or damage to your vehicle. The law requires that you immediately stop at the scene where the accident occurred. It is important to accomplish this without blocking traffic any more than is reasonably necessary. If the accident involved an unattended vehicle or other property, you should make an effort to locate the owner. Failing that, you should leave a note in an open and obvious place that gives your name, address, and vehicle identification number. You should also notify the police that an accident has occurred as soon as possible. If the accident involved two or more drivers, then both must stop at the scene. Again, it is important to try not to obstruct traffic any more than is reasonably necessary. The first thing that you should find out after stopping your vehicle is whether anyone involved in the accident was injured. If someone is seriously injured, you should summon medical assistance to the scene immediately. The law requires that you provide all reasonable assistance, including obtaining treatment or transportation to a medical facility. However, you should not attempt to provide medical assistance unless you have a medical background or first-aid training. Many injuries can be made far worse if handled incorrectly. You should leave the scene of the accident intact, unless your vehicle is obstructing traffic. If you must move your vehicle, make sure to note the position relative to any other vehicle involved before you do so. Blocked traffic can delay the arrival of the police or other emergency personnel. It also creates a traffic hazard that can result in another accident. Don’t forget to use your emergency flashers, flares, or a flashlight to signal to other driver’s that an accident has occurred. You are not required to notify the police unless the accident caused damage in excess of $500.00 or someone was injured or died as a result of the accident. Minor accidents do not have to be reported to the police so long as the drivers involved exchange insurance information or notice is given to the owner of an unattended vehicle or property. You should give the other driver your name, address, vehicle registration number, and automobile insurance company’s name and your insurance policy number. You should also show the other driver your driver’s license. The other driver should provide you with the same information. Make sure to copy down the driver’s license number as well as the name and address of the other driver. The police will conduct an accident investigation. You are required by law to provide the officer with all the information he may request in an effort to determine the cause of the accident. The law protects you when you provide this information to the police under what is known as the “Accident Report Privilege.” If you are ever criminally charged or sued for damages arising from the accident, the statements made to the police during the “accident investigation phase” cannot be used against you. If the officer, however, tells you that he is conducting a “criminal investigation,” the “accident report privilege” no longer applies. Additionally, if you make statements to the officer in general conversation or in the presence of others, this “accident report privilege” may no longer apply. After providing assistance to the injured, exchanging information with the other driver, obtaining witness information, studying the scene, and assisting the investigating police officer, you are free to leave. Aside from providing the other driver with information such as your name, address, vehicle registration number and insurance information, you should refuse to comment on the cause or manner in which the accident occurred. Do not admit that you made a mistake or that you were wrong or careless. Often, such exclamations made during the heat of the moment turn out to be not only inaccurate, but costly as well. Such statements are also often taken out of their proper context. Should you actually turn out to be at fault, the proper time to admit it would be after all the facts and circumstances surrounding the accident have been thoroughly and carefully examined. If the accident involved injury to yourself or another, you should consult with an experienced attorney as soon as possible. You should refuse to provide any recorded statement to the other driver’s insurance company unless your attorney is present. Do not make any agreements, enter into negotiations, or make admissions concerning the accident without the benefit of a lawyer’s advice. This extends to disposing of any ticket or criminal charge you may have received in court, as well as your civil responsibilities to other drivers. A guilty plea in court can often be used against you in a civil proceeding to establish liability, so don’t be misled into believing that you can dispose of the ticket without first seeking out the advice of experienced legal counsel. 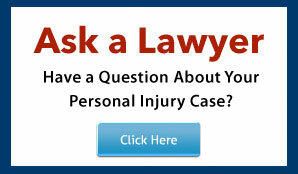 If there were any witnesses to the accident, make sure that you obtain all vital information from them. At a minimum, you should get the witness’ name, address, phone number and a brief account of what they know or observed. If you are able, quickly sketch a diagram of the scene, making note of the locations of vehicles, skid marks, obstacles, and damage. Clarify the events while they are still fresh in your mind. Doing so will help to preserve the details of the accident, even if they fade from your memory over time. You should accept medical treatment at the scene of the accident or agree to be transported to a hospital if you feel pain and/or believe you are injured. If you refuse emergency medical treatment at the scene, you should at least go to the hospital or visit your family doctor that same day, or as soon as possible in order to document your pain and injuries. Even if you feel fine, it is important to seek out the advice of a medical professional, as serious injuries do not always show immediate symptoms. You should contact your insurance company to advise them of the accident and confirm the insurance coverage you have. Your own insurance company may be able to assist you with the damage to your vehicle. However, be cautious discussing the extent of your injuries with the insurance company. Remember, the insurance adjuster’s job is to minimize paying out claims. 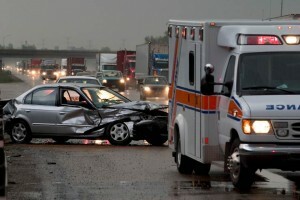 Instead, simply advise the adjuster that you have been injured and will be receiving all necessary medical treatment. The driver of the other car cannot force you to pay anything without legal proceedings. Before making payments to the other driver for damage to the car or property, you should seek the advice of experienced legal counsel versed in this area of the law. Do not allow anyone to rush you into a settlement. You may be entitled to significantly more then the offered settlement amount. Consulting a lawyer will help you to safeguard your rights. Remember, the insurance adjuster’s job is to pay out the smallest possible amount of money on each and every claim. You need representation when negotiating with any insurance company. The Law Offices of Russo & Russo can help. Our office offers a free initial consultation to help you determine your rights under the law.